All you Nissan owners, here's the chance to get performance parts for a great price due to overstock and cancelled orders. We have everything from Genuine Nissan Parts to NISMO, Tanabe, Eibach and much more! We also have a TON of 18" tires that are ready for Drifting! In addition we have name brand audio products and OEM audio at discounted prices! We also have a bunch of Skyline GT-R parts on sale as well! 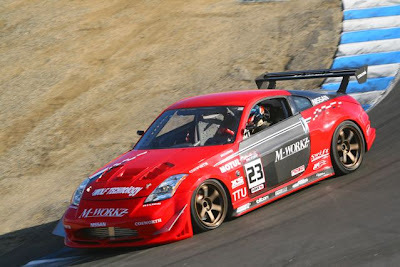 To top it off we will have the fastest Time Attack 350Z in the country on display along with some Formula Drift cars. Get up close and personal with some of the best cars in the Time Attack and Drift world. So come by look at some cool cars, have a drink on us and buy some parts. Garage Sale starts at 10AM and goes until 6PM. 16400 S. Avalon Blvd, Gardena CA 90248. THANK YOU ALL!!!! Go buy stuff.